Our Modular Steel Ramps are an aesthetically pleasing and economical solution! These ramps are powder coated for extra durability with a textured walking surface for greater slip resistance. 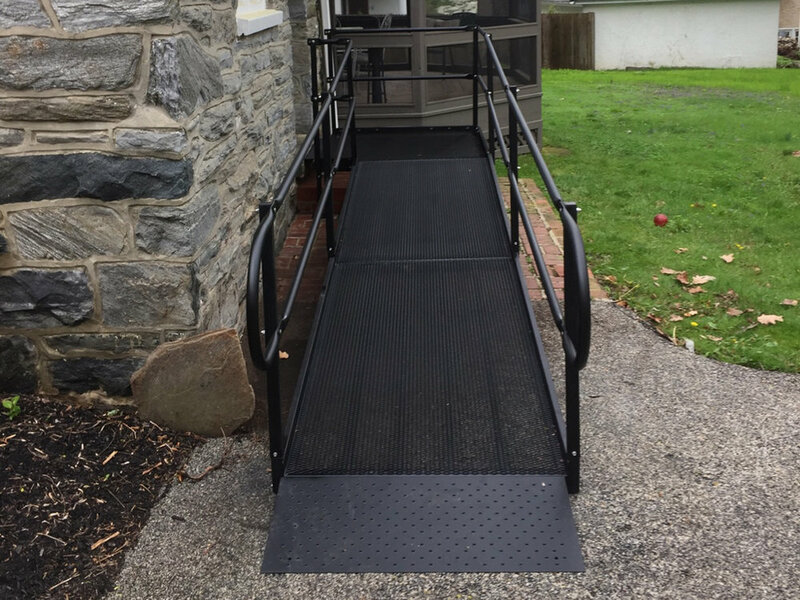 In nearly all cases, we can have a steel ramp system installed anywhere on your property in one workday. All steel ramps come with a manufacturer product 3-year warranty. Steel style ramps also have a high coefficient of friction for maximum traction…which helps reduce the risk of a slip & fall. Call today for a free safety assessment - (856) 740-4000.